The first trailer for the Child’s Play Remake has arrived. In the modern Hollywood landscape, seemingly nothing is sacred. Reboots are all the rage and, even though this franchise has been going strong for three decades, the time has finally come to (sort of) scrap what’s come before in favor of something new. So say goodbye to the Good Guys doll, horror lovers and welcome Buddi, the new murderous, interactive toy who will be terrorizing people on the big screen. Ever since the franchise’s inception, it has been synonymous with the killer doll known as Chucky, voiced by Brad Dourif. As the old story goes, the spirit of serial killer Charles Lee Ray was transferred into the body of a Good Guys doll that made its way into the hands of an unfortunate little boy named Andy. This time around, it’s a technologically advanced Buddi doll from the Kalsan Corporation, billed as “the greatest and most interactive toy on the market,” which retains much of the classic look, with a very different take. Though don’t worry, this particular Buddi doll is still named Chucky. Those who are attached to the previous Child’s Play movies are sure to have mixed feelings on the matter. Franchise creator Don Mancini has voiced his distaste for the direction of this reboot and opted not to be involved. As did Brad Dourif. Instead, Mancini has turned his attention toward a Child’s Play TV series for SyFy, which will take place within the continuity established in the previous movies. So, yes, we will now have two different versions of the same franchise going at the same time. This is possible since MGM retains the theatrical rights, while Universal maintains the home video and TV rights. While the movies are throwing out the old continuity, it will remain intact elsewhere. As great as that is, it’s made for a messy situation. The cast for the reboot is headline by Aubrey Plaza (Parks and Recreation, The Little Hours) and Brian Tyree Henry (Atlanta, Spider-Man: Into the Spider-Verse). Gabriel Bateman (Lights Out, Annabelle}) plays the young kid who winds up in possession of the Buddi doll. Lars Klevberg, who previously helmed the yet-to-be-released horror flick Polaroid, is in the director’s chair, working from a script by Tyler Burton Smith (Kung Fury 2). Beatrice Kitsos (The Exorcist), Ty Consiglio (Wonder) and Carlease Burke (Jumanji: Welcome to the Jungle) also star. Starting in 1988 with the original Child’s Play, the horror franchise has endured throughout the years and now has seven entries to its name. The two prior installments, Curse of Chucky and the most recent entry, 2017’s Cult of Chucky, were both released direct to video and directed by Don Mancini. Will this remake be another win for mainstream horror? Or will it prove to be an ill-advised cash grab that fails to capture what viewers loved about the original? 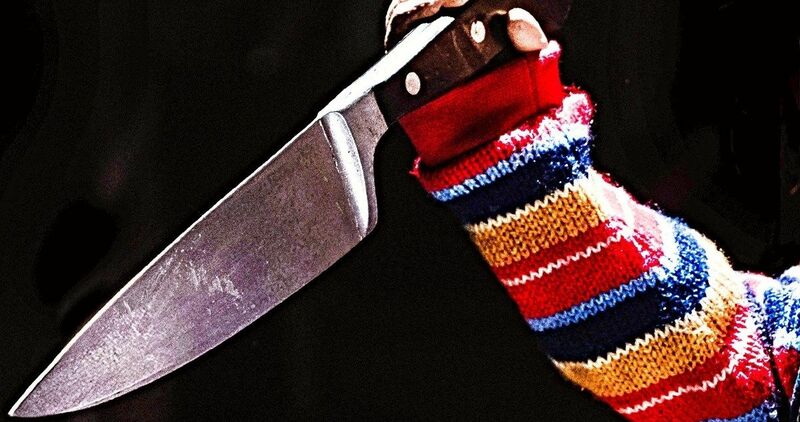 We’ll know soon enough, as Child’s Play is set to hit theaters on June 21. Be sure to check out the new trailer from Orion Pictures.